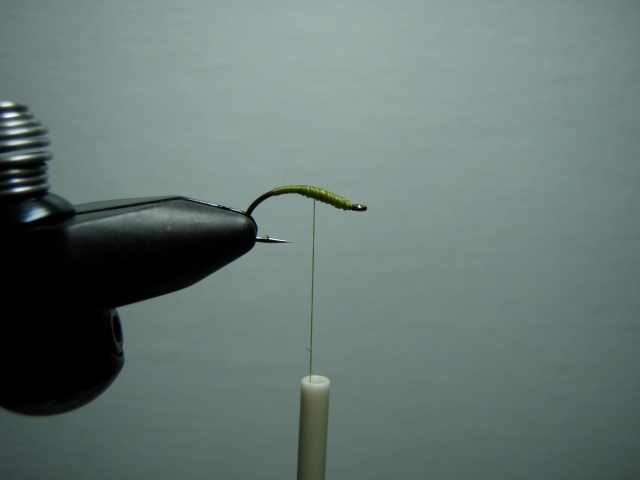 To start, tie on your thread at the eye and wrap it back about two thirds the way down the shank. 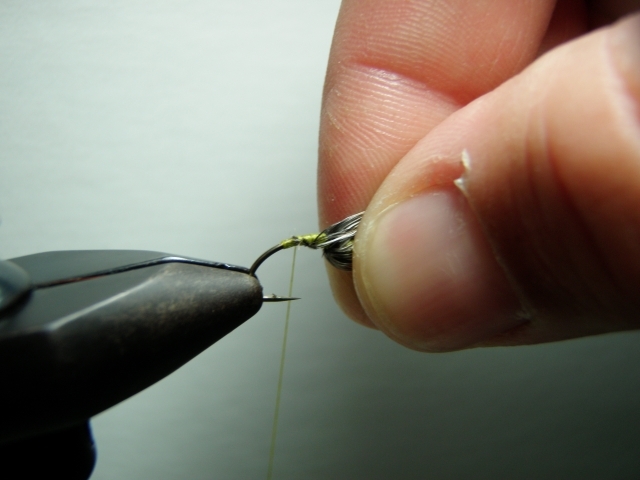 Now bring the thread up to about the halfway point of the hook and start building a tapered head from there to the eye. You only want to build the head up about half as thick as you want it to be when finished. About one third down the shank, tie in your hackle with the con-caved, dull side of the feather facing you. 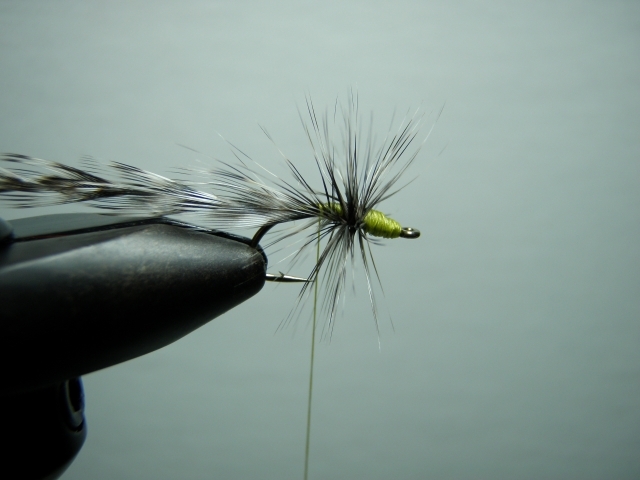 I used chicken to tie this fly, but I prefer partridge or India hen. 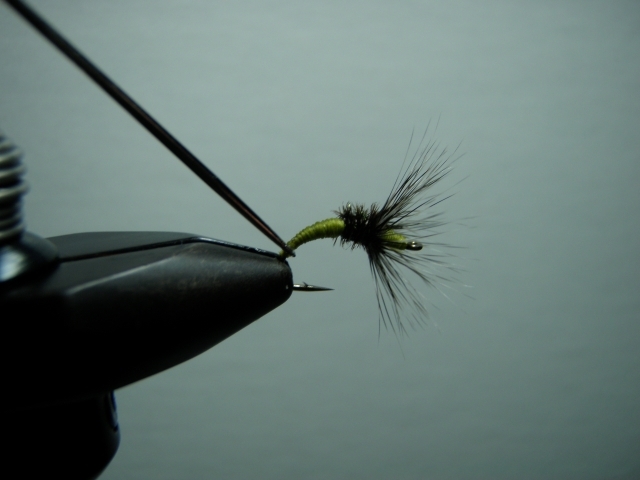 I try to select hackle that is about two hook gaps wide, but I don’t get too picky with these flies. 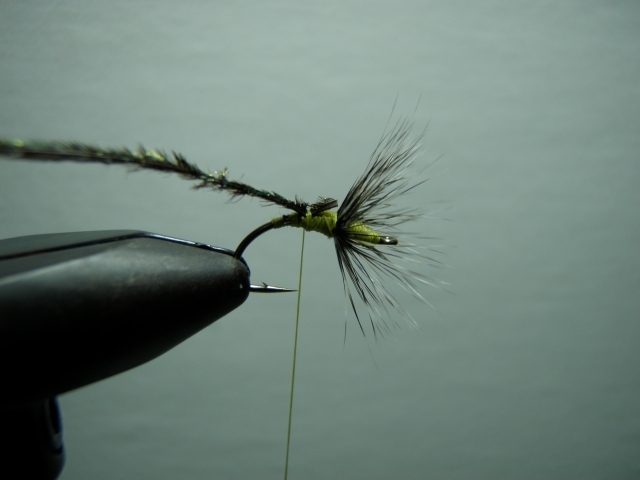 Trim the feather stem and finish building up your tapered head from the hackle tie in point to the hook eye. 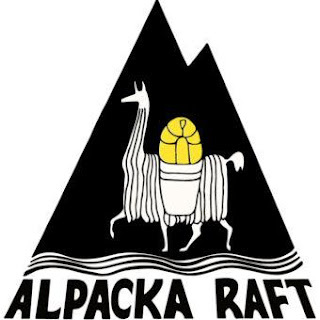 Now wrap your thread back behind the hackle. 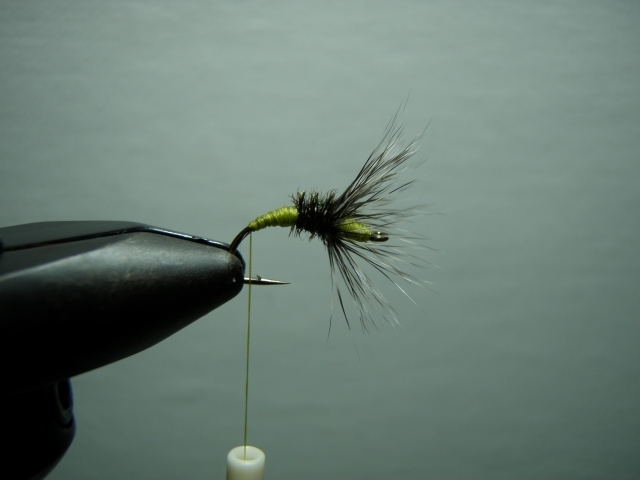 With the con-caved side of the hackle facing the eye, wrap your hackle towards the bend until you get the desired thickness. Tie off and trim. With your thumb and forefinger start stroking the hackle forward to the hook eye. 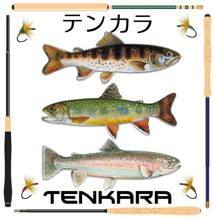 It may take a few strokes, but eventually all the barbules will start to face forward. 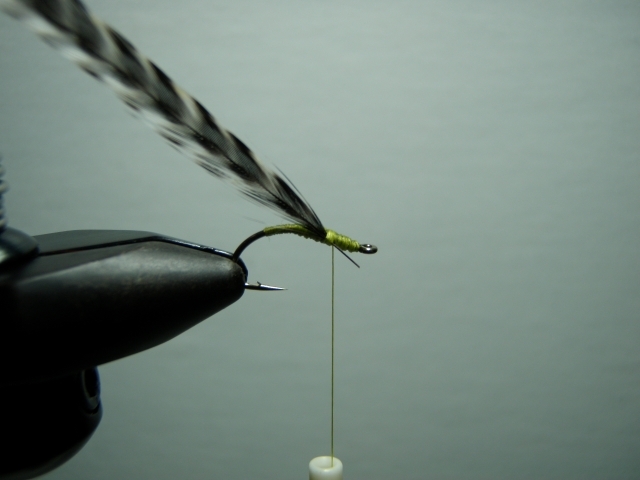 With your tying hand, hold the hackle down and start wrapping the thread around the base of the feather with the opposite hand to you get your desired angle. 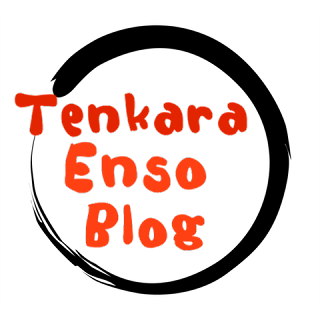 Now build up the rest of your body till it’s slightly thinner than the finished fly. Tie in a single piece of peacock herl a bit behind the hackle. Wrap it forward and back till you get a nice collar. Now tie off and trim. 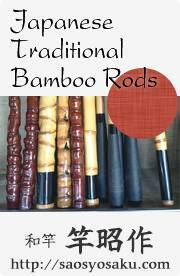 Finish building a nice tapered body with your thread until you get the shape your after. I leave a small gap in the thread at the very rear for the whip finish. During the whip finish I use enough turns to fill the gap. Add a small drop of cement to the knot and you are done. 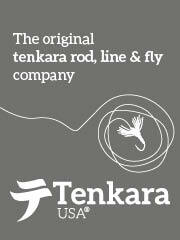 To tie a standard Sakasa Kebari, skip the peacock herl and build up the thread body.